Paris: This week will help answer the question of whether Paris St-Germain’s gazillions are turning the ambitious club into a true force in Europe or have simply made them the biggest fish in the little pond that is France’s Ligue 1. A loss in the Uefa Champions League to Liverpool on Wednesday would leave Thomas Tuchel grappling with the same vexing problem of underachievement that undid other managers who have come and gone at the Parc des Princes in seven years since coming under Qatari ownership. Should Liverpool and Napoli, who hosts Red Star Belgrade, both win on Wednesday then PSG will be out of the Champions League regardless of results in the last round of group play in December. PSG have five points from four matches so far in Group C. Liverpool and Napoli both have six points. “It’s a decisive match in a very, very complicated group,” Tuchel told French broadcaster TF1 after PSG again won in the French league on Saturday. Part of the reason Tuchel’s players already have their backs to the wall in Europe is that steamrolling over poorer, weaker French league opponents each week isn’t sharpening them for tougher Champions League nights. 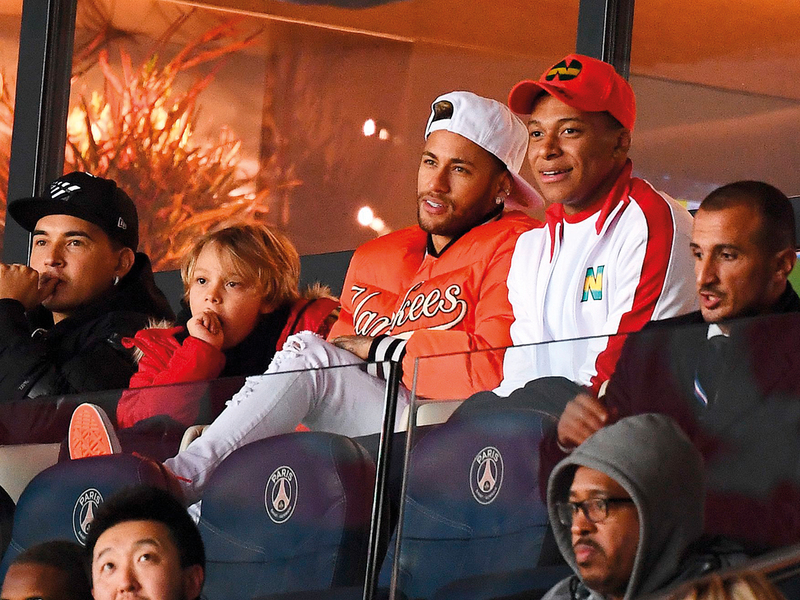 This weekend, PSG didn’t even need stars Kylian Mbappe and Neymar, both injured and watching from the stands, in the 1-0 victory against Toulouse. PSG have won all 14 of its league games, scoring as many goals (46) as second-placed Lyon and third-place Montpellier combined. Even if PSG lost every game from now on, the 42 points it has accumulated so far — already 15 more than Lyon — would likely save it from relegation. Since the French league’s expansion to 20 teams in 2002, only Caen in 2005 and Monaco in 2011 dropped down with 42 points or more. But as impressive as PSG’s stats seem, they’re also a damning indictment of the lopsidedness caused in the league by Qatar’s money-no-object spending. The irony is that by forking out so heavily on world-class recruits, PSG also appears to have sown the seeds for them to go soft and underachieve in Europe, because in France they simply don’t always need to find their highest gear to succeed. Against Toulouse, PSG squandered chances and often lacked intensity. Yet that didn’t really matter against opponents with one of the poorest scoring and defensive records in the league. A touch of genius from striker Edinson Cavani, juggling the ball with his left foot, turning and volleying into the Toulouse goal with his right, was sufficient. PSG will likely need more — much more — against Juergen Klopp’s Liverpool, which won 3-2 when they last played at Anfield in September. Time to discover whether Tuchel’s players still have that high gear. Veteran right back Dani Alves, back from a knee injury that kept him out for six months and caused him to miss the World Cup with Brazil, acknowledged as much after a substitute appearance against Toulouse where he looked sharp. Tuchel expects to have Mbappe (shoulder) and Neymar (groin) back against Liverpool. An emphatic PSG win would, of course, help change the conversation. Winning again in the last group-stage match in Belgrade and then going beyond the quarter finals — PSG’s glass ceiling under Qatari ownership — would suggest that the big-spending project is bearing fruit. The alternative is yet another season of simply being big in France.